Why is it important to Backup your WordPress Droplet? There are many reasons why you will be thankful you backed up your WordPress blog, mostly at the time you need to restore your blog. Even for small issues, its a relieve you can just restore a snapshot and get back to business. The most simplest thing you could do it delete a post by mistake and be unable to restore it. You could loss pictures and other updated content, or maybe you spend hours getting the CSS and that plugin perfect. Instead of spending hours trying to restore, let SnapShooter take regular backups and then your free to restore to any snapshot you wish. How to Backup your WordPress Droplet? 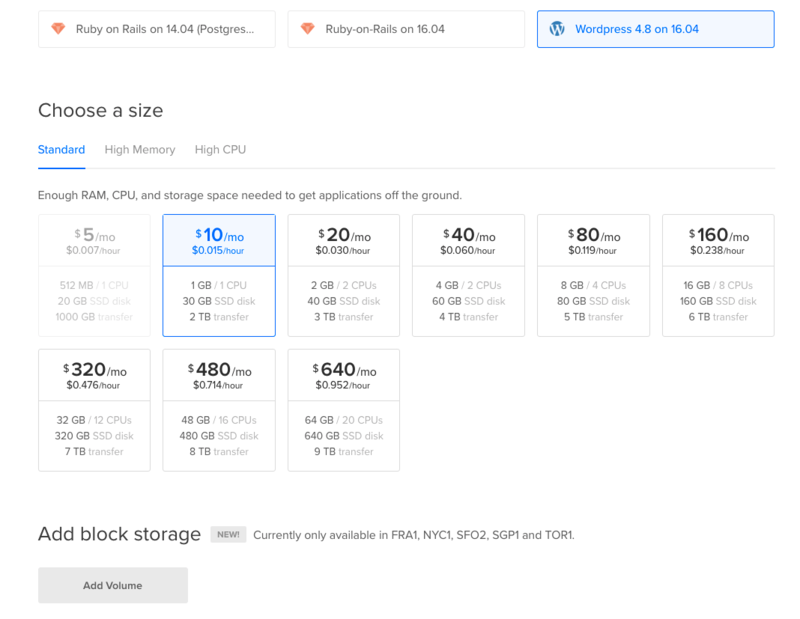 Install WordPress on Digital Ocean, the process can be be made simple by using Digital Oceans one-click install and deploy system. 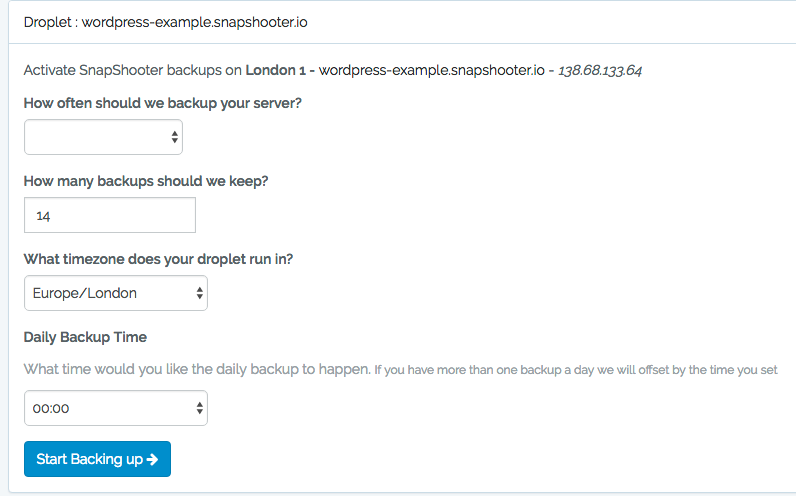 Once your WordPress Blog is setup is a perfect time to login to SnapShooter and activate backups on your Droplet.